Sekonic L-758DR Digitalmaster flash meter with RT-32FCC transmitter module for Pocket Wizard connection. 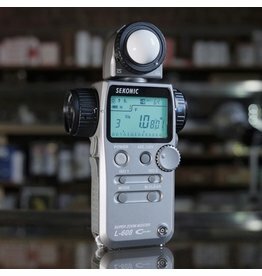 A professional light meter for existing light and flash, with built-in spot meter. In excellent condition, with softcase and strap. Sekonic L-608 Cine Super Zoom Master. 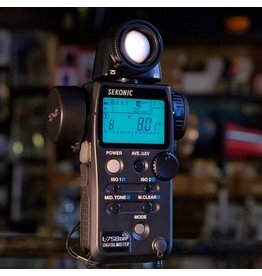 Sekonic L-758DR Digitalmaster flash meter with RT-32FCC transmitter module for Pocket Wizard connection. 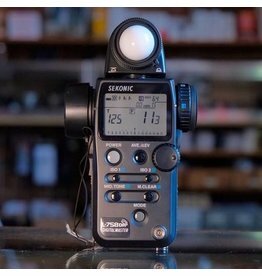 A professional light meter for existing light and flash, with built-in spot meter. In near-new condition, with original softcase and box. 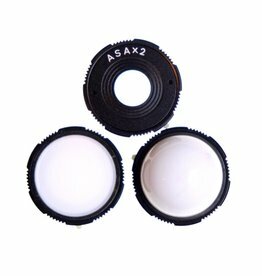 Diffuser disc set for Sekonic L-256 light meter. 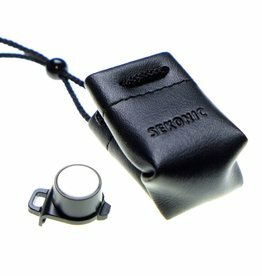 Flat disc attachment for Sekonic L-308 light meter. With storage pouch. Flat disc attachment for Sekonic L-308 light meter.